You must make reservations at least 5 minutes in advance of the time at Okatshe. Self park and valet options are both available at Tropicana. 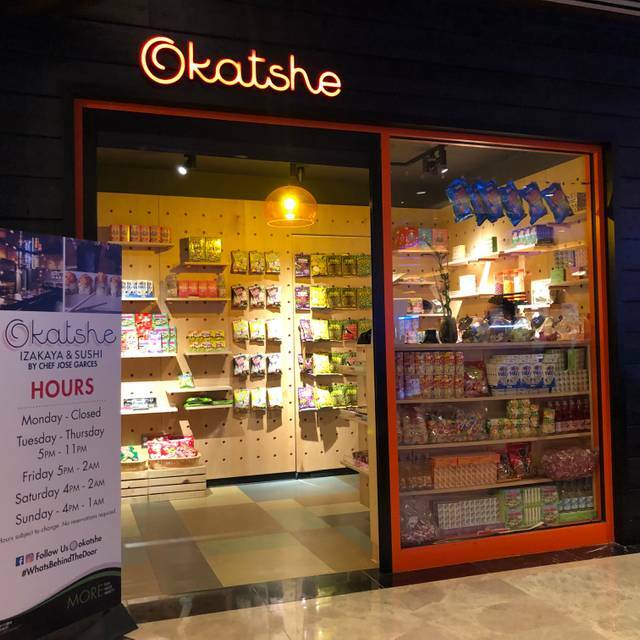 Okatshe (pronounced Ō- kaht-she) is a take on the Japanese word for “sweets.” This sake and noodle bar is hidden behind a colorful Japanese candy store. Guest browse the boxes, bags and jars of bright, quirky candy as they make their way toward a Japanese streetscape. 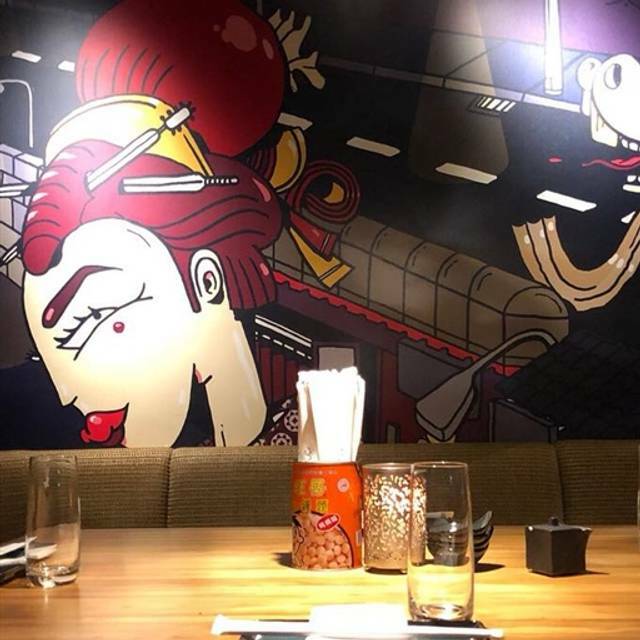 The restaurant interior has the feel of a Tokyo night market with food stalls dedicated to sake and whiskey, sushi and noodles. This is one of our favorite places to go to in AC. Cleverly hidden as a candy shop, the interior of the restaurant makes you feel like you are in Tokyo. The food is absolutely delightful and nothing that we’ve had on the menu has disappointed. The restaurant itself has limited space so I would recommend making reservations and not waiting until the last minute. Foot and drinks exceptional. Not too expensive. Great service. We went for the kitchen of a restaurant hidden behind a candy store, but will go again for the atmosphere and delicious food! Excellent meal! We ate at the bar and the bartender knew so much about the dishes. He had great recommendations. Food was over the moon great! So good. Got most of the menu and there wasn't anything that wasn't great. Went during restaurant week. All the other reviews are correct this place is amazing! The sushi and all the other food is super fresh and delicious. The cocktail list is AMAZING. Our server and hostess were very welcoming. If you can book it, please do because it’s some of the best Japanese food I’ve ever had. They really do make each dish feel special. Awesome experience all around. We’ll definitely be back!! Oscar was very friendly & kind to still provide great service for us even though we were the last reservation!! Cool decor and style. 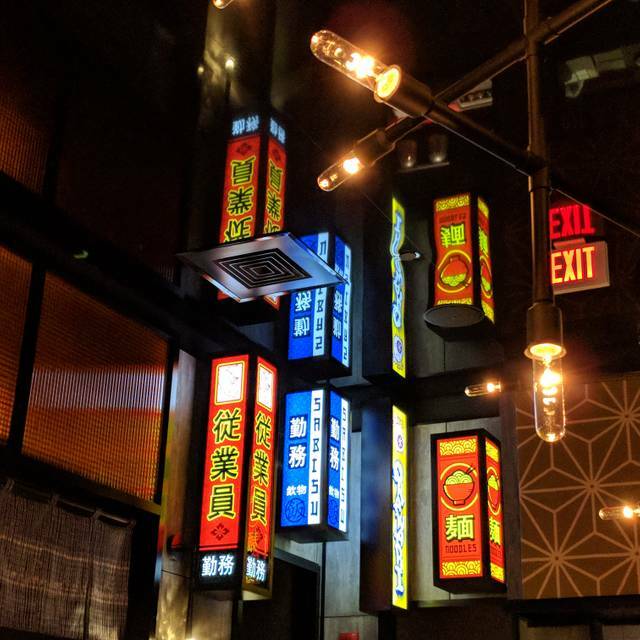 Great food and ramen. Food is very good. Love the small plates and the sushi is very good. Service was excellent. I took my girlfriend to this resturant during Valentine’s Day and let’s just say it surprised her so much! I pretended to say “babe we are here! I just brought you here to buy Japanese snacks” (she doesn’t know that it was just the outside) she was so disappointed and mad at me! Then I surprised her and we went in the back was a big resturant she was so surprised and we both loved it food was great too would recommend! 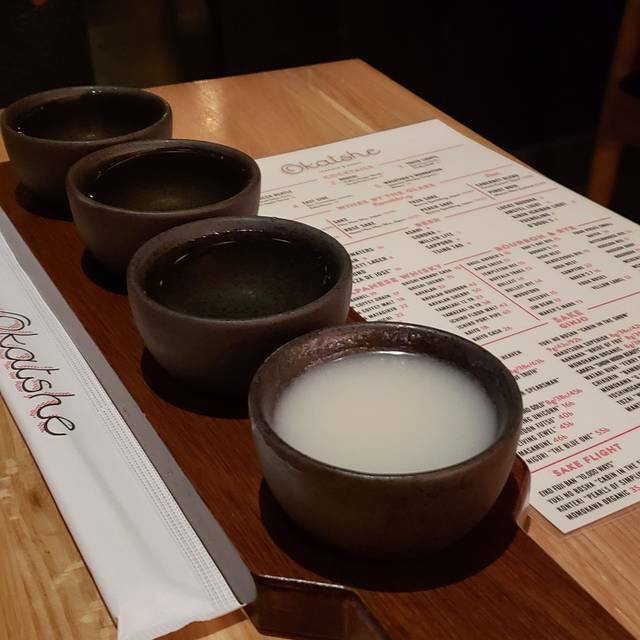 Okatshe is the best kept secret in AC for Japanese food. When you step past the secret door you step into a back ally in Osaka. Very cool and the music is great. Live DJ spinning tunes. As always, when we eat at Okatshe we are treated to both a delicious meal, prompt and courteous service, and a stunning visual experience. We cannot wait to come back again next time we stay at the Tropicana. The food was delicious! We ordered spicy miso ramen, the chicken wings and fries...perfection! 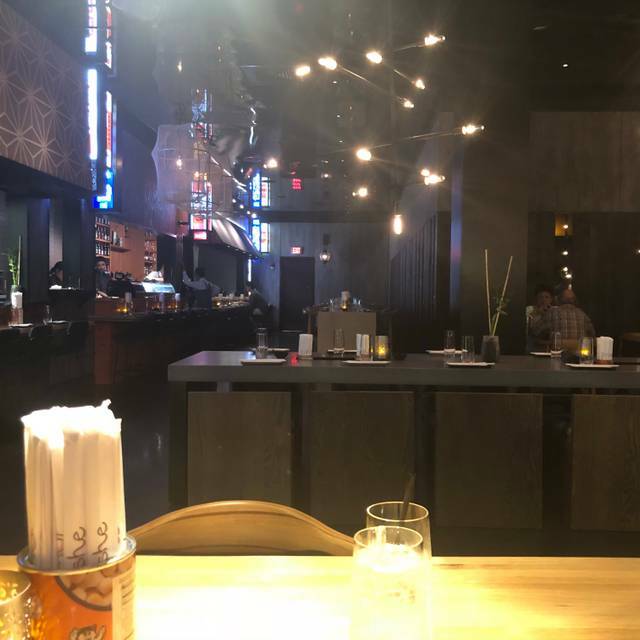 The service was outstanding and the ambiance was outstanding!! It was a little over priced for a decent meal. Went to the restaurant especially for ramen noodle soup, for it was the closest without going towards Philly or NYC area. Ordered the spicy ramen. Broth had very little flavor or depth. Yes, we saved some time and energy by going to AC, but I would, next time go and drive the extra hour to go to better place to order ramen noodle soup. We would highly recommend Okatshe for great fresh food, atmosphere, and service. They explained menu options, made awesome food and drink recommendations and we loved our first visit! Will return again and recommend friends. Loved the atmosphere and decor. Menu wasn’t overwhelming and the food was delicious. My favorite was the Tropicana roll! This is our second visit and it was another great meal! Excellent! Always fun and delish! Great food, fun place to eat. My boyfriend and I have named this place as "date night spot". We take all of our friends to this super sick location. Oscar always goes above and beyond and we will deffinitely be back!